Diversity in tech was a big trend in 2016 and it’s continuing right into 2017. Civil rights activist Jesse Jackson is standing on Uber’s doorstep demanding that they release data on the diversity of their workforce and will no doubt be ready to launch a shaming campaign if they don’t. "As we enter the new year...we urge Uber to 'lean in' and join the ranks of technology companies that are reporting your diversity and inclusion data," Jackson wrote, referencing the title of Facebook COO Sheryl Sandberg's book about women in the workplace. Inciting racial tensions by alleging, not just discrimination, but segregation is distasteful and should not be condoned. However, it’s a tactic we often see used to silence dissent. 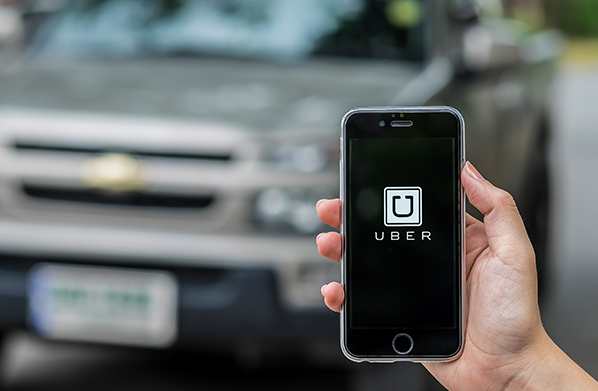 If Uber complies, they would join a growing list of companies including Amazon, Apple, Facebook, Google, and Microsoft as well as popular startups such as Pinterest and Airbnb. Increasing the headcount of women and people of color in tech companies and the tech field is a welcomed advance. There are many bright people who can develop new tools, features, and products that uniquely address our needs. However, let’s not forget that there are other types of diversity that companies should seek such as diversity of educational background, philosophy, and economic background. We benefit from various views on politics and diverse upbringings – not just skin tones and genders. That Jackson is so narrowly focused on race and gender is telling. Pushing private companies into releasing “diversity” data and shaming them for their results is hardly the productive way to get at the problem of greater diversity in technology. As Pinterest learned, it’s pretty hard if the pool of qualified applicants from diverse backgrounds is limited to begin with. Attracting women, people of color, and low-income applicants requires investing in young people from an early age and exposing them to the opportunities in tech. Even then, there’s still the real possibility that you won’t immediately achieve whatever vision of diversity those like Jackson expect. Many young women, for example, just don’t want to be coders or work in tech-related fields. We can’t ignore the role of personal choice. In college, women lean in to fields such as education, social service, medicine, and the humanities. It’s not surprising then that the pool of qualified women for tech jobs is much smaller than for teachers, psychologists, and reporters. Short of forcing students to choose STEM majors, we may not see a fundamental change in headcount in tech companies. Uber has responded to Jackson’s second attempt with we’ll think about it. Since they recently, hired a Hillary Clinton campaign veteran to head up global diversity and inclusion efforts, we can expect some changes in the future at Uber. However, good for Uber for taking a stand against intimidation efforts so far.